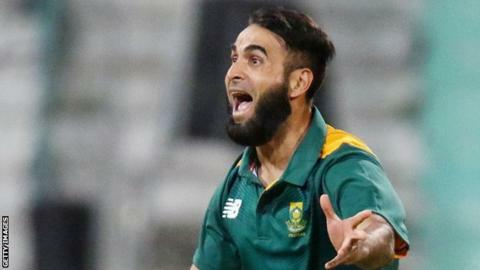 South Africa international leg-spinner Imran Tahir has played his last game for Nottinghamshire this season after picking up an upper thigh problem. The 36-year-old was sidelined with the injury while on one-day international duty against New Zealand. Tahir played three One-Day Cup games and one County Championship fixture for Notts following his arrival in July. However, the club can still call on the services of Australian all-rounder Dan Christian in Tahir's absence. "He was a popular member of the side," director of cricket Mick Newell told the Notts website. "I'm sure the lads won't forget that should we go on and win the (One-Day Cup) competition."